1 April - 18 September. Domaine de la Ville Huchet has been transformed in recent years into a site with modern facilities and lots of character. The 107 touring pitches are well laid out and mainly of generous size, most with 6A electricity and some with shade. There are six grand comfort pitches and four with 16A hook-ups. An older manor house, undergoing renovation, is at the centre of the site. A splendid pool complex with slides and toboggans has been created alongside a large, covered pool. Entertainment for young and old takes place in the spacious bar during high season, while a crêperie provides a range of food. 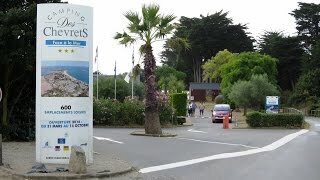 This is a useful site positioned on the edge of Saint Malo with easy access to the ferry terminal, old town and beaches. A bus service to take you into the town is 400 m. away. The site is in the process of gradual renovation. In addition to works on the manor house, which now has a new roof and front door, a new sanitary block with living walls is being built. A small third block is open in high season only. At one end of the site, an area without electricity is reserved for tents. One main sanitary block, a small additional block opens in high season. A newly built block is scheduled for 2015. Facilities for children and disabled visitors. Motorhome services. Shop. Bar. Crêperie (July/Aug). Snack bar. 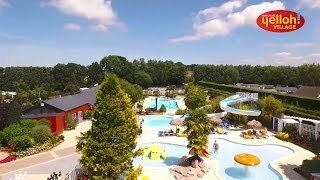 Aqua park with water slides (June-Aug). Covered pool. Bicycle hire. Play area. Entertainment programme in peak season (including live bands). Communal barbecue. WiFi over site (charged). From St Malo take D137 towards Rennes. Take exit for St Jouan (D4) heading south. The site is well signed (2 km).